Bridal showers have evolved over the years. A modern bridal shower no longer has to be saved just for the women in the wedding party. In recent years, one of the biggest trends in bridal showers is to have a co-ed celebration for both the bride and groom. This is often a party thrown by friends of the couple. Today’s showers can take place at someone’s home, at a favorite bar, club, or restaurant. Or friends and family may host a trip to a resort or spa over the weekend. One thing is for sure: today’s showers are less about silly games and more about having fun and celebrating the couple’s upcoming nuptials. Whether you are taking a more traditional route with a girls-only event or having a couples shower, something fun to do for you bridal shower is to have custom wedding koozies made to commemorate the day. This is a good way to remind the bride and groom of their last few days of freedom, in addition to looking forward to the wedding. And since a bridal shower is more of a party these days, a koozie is something the guests can use to keep their drinks cold at the festivities, and then take them home as a souvenir. 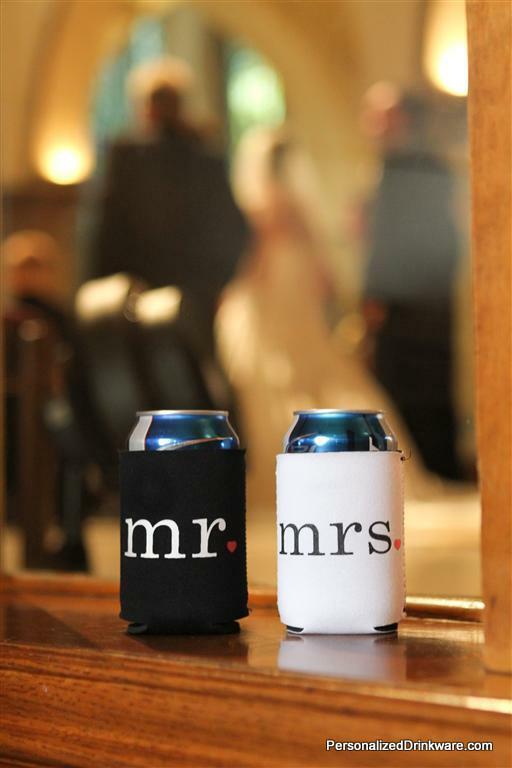 With custom imprinted can and bottle koozies from KooziesOnline.com, there are low order minimums on certain items, so you can order small quantities of koozies with a custom message printed on them especially for the bridal shower. Don’t forget to order a special set of koozies as gifts for the bride and groom. Or if you like, you can order enough to use at your day reception as favors for your guests. These koozies also make great bachelorette and bachelor party gifts, bridesmaid and groomsman gifts, as well as fun party favors for other events. It takes less than a week for your koozies to be printed and shipped, and you can order as few as 25 at a time. Go online today to check out the koozies available online at KooziesOnline.com. Everything you need to get started with your order is available, including hundreds of fun clipart images available for free. Don’t wait! Order yours today!